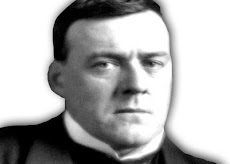 The ChesterBelloc Mandate: We've Moved! On the 4th of July, we are proud to present our brand new web site, The Distributist Review. 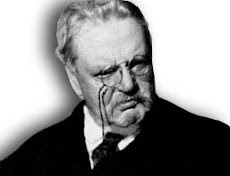 The Distributist Review will provide analysis of our contemporary social and economic world, with the addition of vintage essays from G.K. Chesterton, Hilaire Belloc, and the early Distributist League. 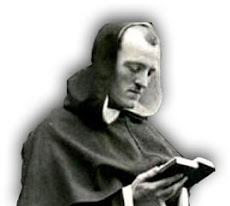 The site’s primary focus is Distributism and its relationship to the world we live in. Whether discussing capital and labor, urban and rural reform, politics, or “what is wrong with the world,” we strive to deposit the proper perspective on the fundamentals needed for social and economic restoration, as our readers want to know what prescription we can offer for the building of a practical Distributist culture. Our mission is to pave the way for common ground between diverse political backgrounds, working tirelessly to harmonize social justice and orthodoxy, and helping to build the framework necessary for the creation of a popular Distributist movement. In addition, our web site will now include guest contributions, movie and book reviews, audio and video resources, downloadable materials, and a print/PDF feature for all of our articles. Please join us, bookmark our site, and help us to spread the word. Go to www.distributistreview.com/mag and do not forget to order “Jobs of Our Own” by Dr. Race Mathews by going to www.distributistreview.com/press. Neither Left nor Right. Looking back and moving forward. The restoration is up to you.